A large European insurance company with several subsidiaries improved the business performance of their motor vehicle Insurance division through adjustments in pricing. Using the Earnix Insurance Suite a full set of new pricing strategies was developed, empowering the company to select the most appropriate pricing strategy to drive their future growth. 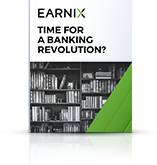 Read the case study to learn how Earnix improved their profit by 1.2% year over year as well as enabled the company to gain a deeper analytical perspective of their current pricing process.